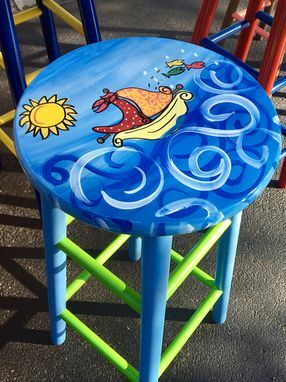 This listing is for one (1) round top wood stool painted in one of the nautical themes shown. 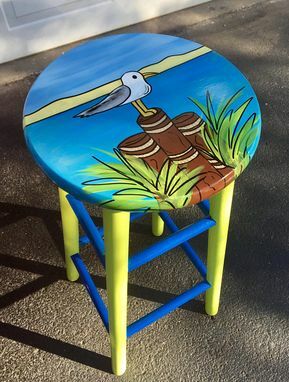 Seagull, beach, Adirondack chair, flip flops, turtle or sailboat. 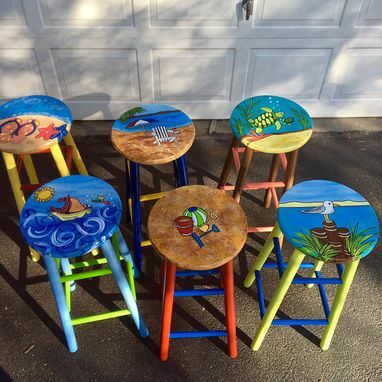 As they're painted-to-order, you may opt to have the stools painted exactly as you see in the pictures, or you may opt for different colors, at no additional charge. I offer 24", 29" or 30" tall here. You will pick your preference on height, and design, in the order. 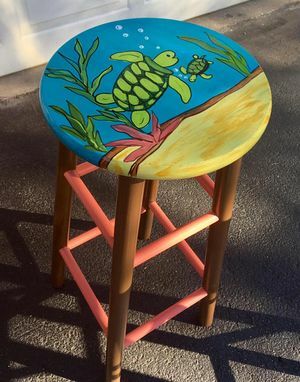 If you prefer a DIFFERENT THEME depicted, or this design on a DIFFERENT STOOL STYLE or PIECE (table, bench etc), just contact me before purchase. We can "talk" about exactly what you'd like, and how I'll make it happen for you!! 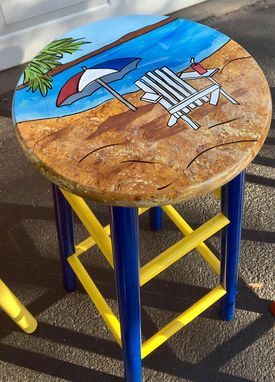 Each piece is meticulously designed, sanded, primed, base coated, decoratively hand painted, sealed to a glossy sheen, signed and dated by me!! The artist. 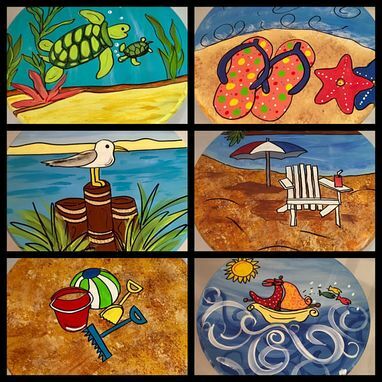 Creating custom, hand painted furniture and home decor since 2005. Purchase with confidence. I've had over 2000 sales and a 5 star rating! If you have specific questions about shipping, please contact me before purchase.